This delicious take on potato salad makes red potatoes the star of the show! The dressing for the salad includes yogurt, which makes it so creamy. 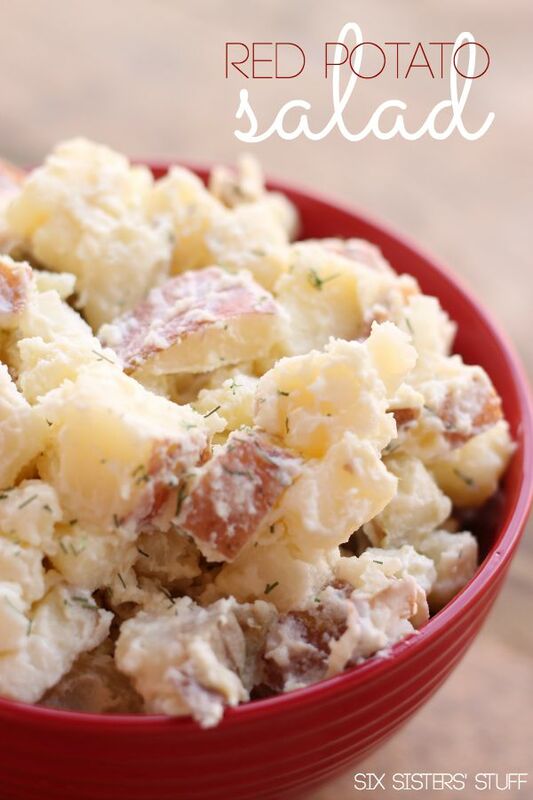 There is nothing like a homemade potato salad and our mom can whip one up in no time! I have learned a lot about making potato salad over the years (and through much trial and error), so I thought that I would share my tips with you so that you can learn how to make the best homemade potato salad! These three types of potatoes have a higher moisture content, which makes them the perfect texture when tossed with dressing and served cold. You can use a Russet potato, but it will be drier and not quite as good. 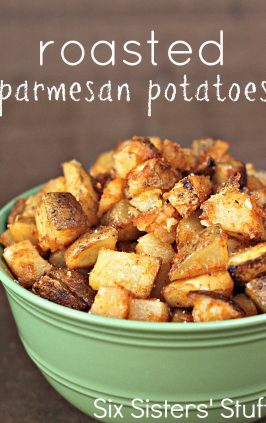 Even though this recipe does call for red potatoes, you could easily swap it for Yukon Gold or Yellow Finn potatoes and still get the same delicious results. How long should you cook potatoes for red potato salad? The first few times I made red potato salad, I way overcooked the potatoes and basically had mashed potato salad. The key to cooking perfect potatoes for red potato salad: simmer them instead of a hard boil. You want your potatoes to be soft and creamy and so that when you pierce them with a fork, they are tender. Depending on the size that you cut your potatoes into (and make sure that they are cut into evenly-sized pieces), the potatoes should cook in 8-12 minutes. Our mom always uses eggs in her potato salad, along with a mayonnaise and mustard dressing. This red potato salad is a little different because it does not use eggs and it incorporates yogurt to make the dressing super creamy. 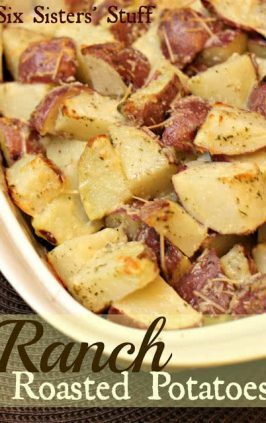 The star of this dish is the red potatoes and mixed with the fresh dill, sweet onion, and dressing ingredients, you won’t even miss the eggs! 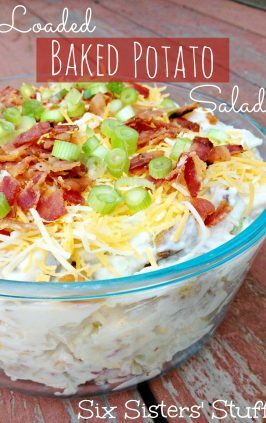 However, if you want a more traditional potato salad, you are going to want to try our Mom’s Potato Salad Recipe. Did you see the fun news we shared on our Instagram account? I haven’t had a whole lot of pregnancy cravings, except for one thing: potato salad! The thing I love most about this red potato salad recipe? The dill. It makes all the difference! 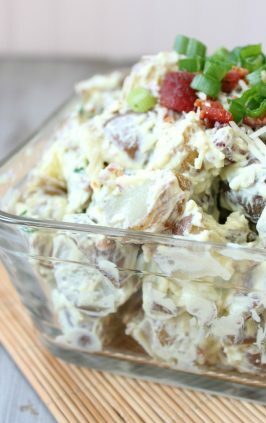 This easy red potato salad is perfect for your next bbq or potluck! In a large bowl, mix together mayonnaise, yogurt, dijon mustard, garlic salt, olive oil, vinegar, and pepper until completely combined to make a dressing. In a large pot, place potato wedges and cover with water. Cook over medium-high heat until tender (about 10-15 minutes depending on the size of the chunks). Once potatoes are tender, drain and add to the large bowl of dressing. Toss to coat. Mix in sweet onion and dill. 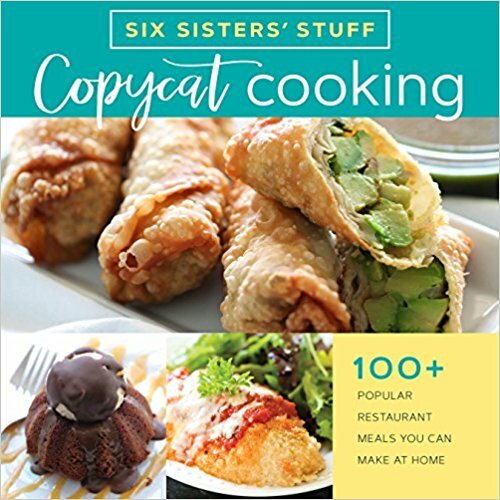 You can serve it warm, or refrigerate for 2-3 hours and serve cold. We have twin girls that are 15 months old. Although life is busy, especially since they are now walking, they are such a blessing. Main piece of advice I can offer is try your best to get them on the same schedule. Congratulations and best wishes! Congratulations! My twin boys turn 2 on Thursday. It's an amazing blessing - not always easy but definitely worth it! Best wishes! You guys look so happy :) Congratulations!!! I don't have twins, so I don't have any advice about that, but I all thrilled for you! A good applewood bacon crumbled and mixed in to the potato salad goes great!! I'm not a fan of yogurt -- would additional mayo or sour cream work instead? I would just add additional mayo if you don't like yogurt. Holy moly that's a lot of garlic salt for my taste. Other than that, it's delicious!